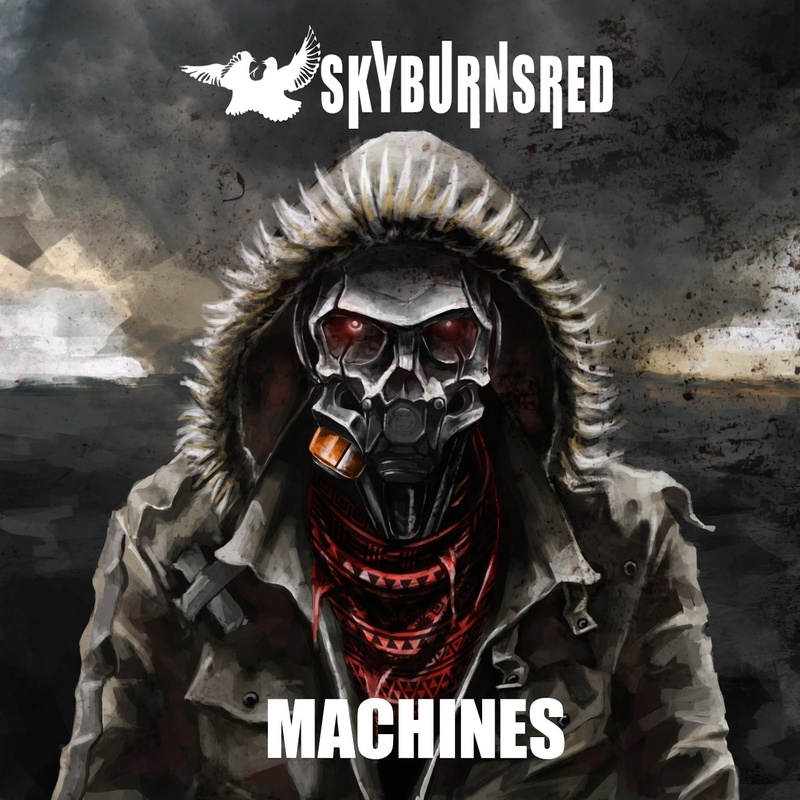 Album Review: SkyBurnsRed, Machines – music waffle. The band’s own words set the scene for an unusual and striking listening experience, which could be described as “R-orchestral”. The cover artwork may make you think that you need to be related to Blackadder’s baby-eating Bishop of Bath and Wells to enjoy the music, but don’t be put off. The two singles Human Malfunction and You CAN Stop … Just Saying are a good place to start listening, as they are the hookiest tracks. But there are elements of Musical Theatre in Biting Hands – I can almost see a stage full of chorus line actors singing “Oh what a beautiful beautiful…”. My favourite part of the album is where the two extremes of sound go back to back. Constellations starts with the simplicity of acoustic guitar and violin, SkyBurnsRed at their softest and most accessible, before the guitar and drums come in later in a thoroughly uplifting way. Then the growling grunge of Riddle follows behind. A moody sounding bass line blends with hints of roaring Rock God vocal to help create a behemoth of a piece. They perfect the art of the staccato pause (a tool used in many a favoured song of mine), to stamp tension and anticipation on the grumbling ending. SkyBurnsRed have succeeded in created a textured and innovative sound which stands out from the crowd in the current music scene. There’s plenty of room for the unusual out there – look at the success of Gotye in recent times. The band need to continue exploring the range of sound at their disposal, the soft and the hard, as they have the potential to encompass a breadth of listener in their fan base.